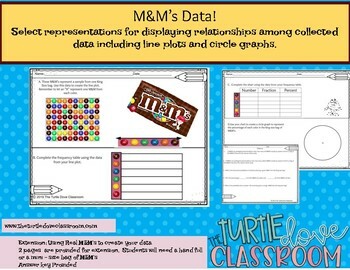 TEKS 8.12c Select and use appropriate representations for presenting and displaying relationships among collected data including line plots and circle graphs. A. 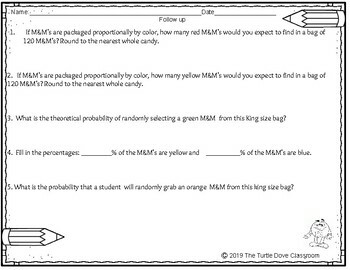 Create a line plot for the number of M&M’s displayed from a King size bag of plain M&M’s. B. 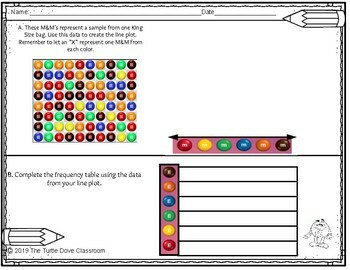 Use the line plot to create a frequency table. 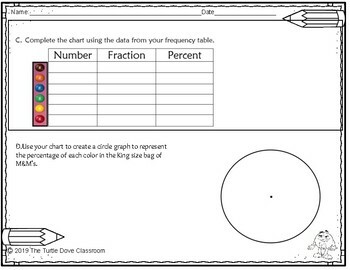 D.	Create a circle graph using the data from your chart. E.	Answer the questions that follow.